Today is the 10th anniversary of the 9-11 attacks. 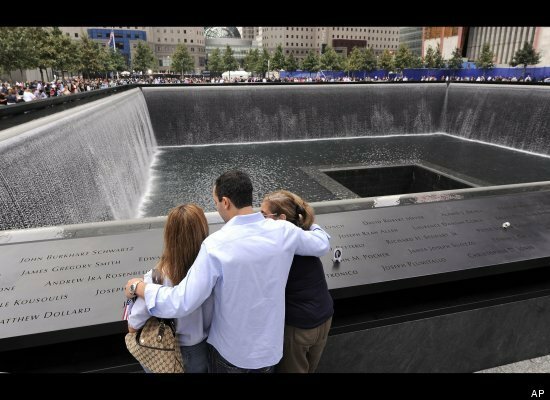 Family members of those who died in the Sept. 11, 2001 World Trade Center attacks, gather at the edge of the north reflecting pool (a huge squared fountain) of the Sept. 11 memorial during 10th anniversary ceremonies at the site, in New York, Sunday Sept. 11, 2011. 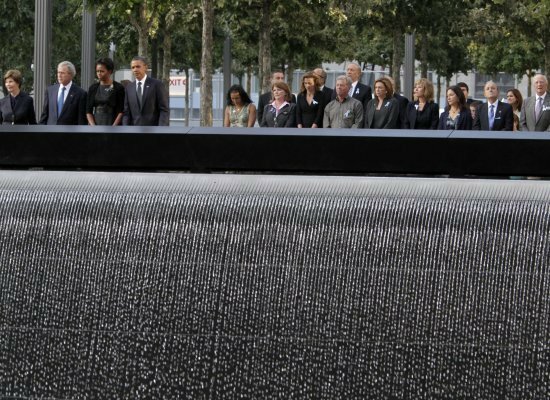 President Barack Obama, first lady Michelle Obama, former President George W. Bush, and former first lady Laura Bush, at left from right to left, join family members and others as they observe a moment of silence at the National September 11 Memorial.